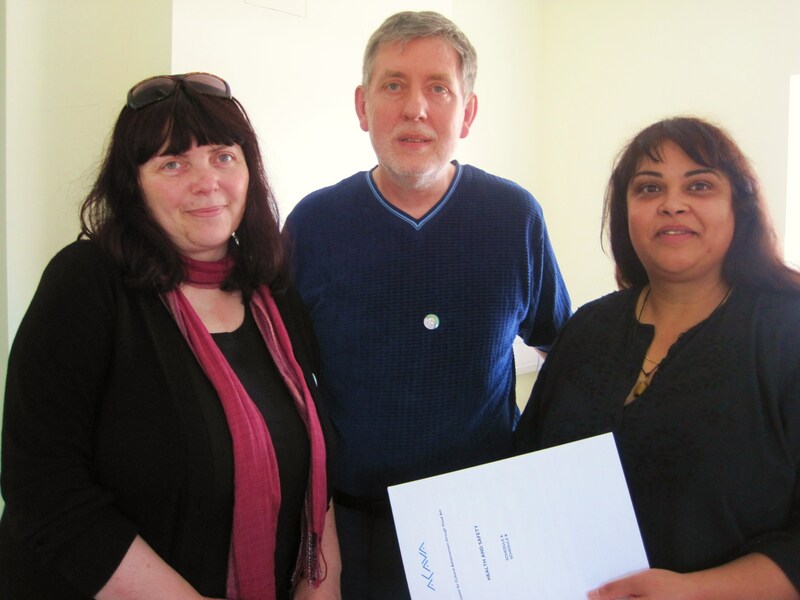 Hadleigh & Thundersley Community Archive were delighted to welcome Debbie Peers (Audience Development, Essex Record Office) to witness the licence signing session for Studio 13 with Nita Mistry of ACAVA. Funding for our continuous use of HOFS Studio 13 and also some rentals of the Appliance Bay (where the fire engines used to be) was made available by the MLA (now defunct) as a result of a community project. Debbie Peers of the Essex Record Office and Sue Hampson of Essex Libraries were the prime movers in attracting a Heritage Lottery Fund grant of £48,700 which helped create six new community archives in South East Essex. Sadly, Debbie has since passed away but we look back to this occasion in July 2011 with great pride as the archives continue to expand, encourage other archives and community groups in a way which amply fulfils the hopes that Debbie and Sue had for their project. From them, we were very fortunate to have all the official support available and we will always recall their timely and unstinting efforts with affection.